I am Jack Byno a traffic ticket attorney that has been representing clients in the Dallas Municipal Court since 1994. Dallas is the largest of the municipalities in all of counties on North Texas, but your case is equally important to me whether it arose out of small town or large city. My practice is devoted to keeping your driving record clean and keeping your license from being suspended. I represent clients with all manor of traffic tickets in the City of Dallas, Texas, including speeding citations, CDL violations, lifting traffic warrants, and fighting driver's license suspensions. For more information about fighting your Dallas traffic ticket contact me. If you have received a speeding ticket in Dallas, Texas or anywhere else in the County, you need an experienced traffic ticket attorney. I have been representing clients in the Dallas County Municipal Courts since 1994. Every traffic court in the County is different and I have represented clients in all of them. 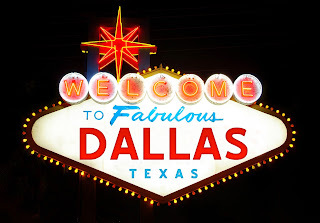 The attorneys of Jack Byno & Associates defends speeding tickets on a daily basis in Dallas. If you hire us, we will go to court on your behalf and workout the best deal we can. In most cases, we can keep the speeding citation off of your driving record and when necessary you can retain us for a trial. Contact the Dallas County speeding defense attorneys of our law firm today! More about Dallas speeding tickets. If you failed to respond to a Dallas traffic ticket in the time permitted by the Dallas Municipal Court, a warrant has been issued for your arrest. Traffic warrants are not be treated lightly. Even though it is just a speeding ticket or other moving violation you can be arrested. Dallas participates in the statewide warrant roundup. This means they actively pursue and detain those people that have allowed their traffic tickets to lapse. Do not get caught up in the system. It only leads to warrants, arrests, surcharges, Omni fees, and driver's license suspensions. Contact me today to lift your warrants. More about the Dallas Warrant Roundup . Let's face it, truck drivers have it tough. The law does not permit you to take a defensive driving class to keep a speeding ticket or other traffic violation off of your driving record. CDL holders are also prohibited from being granted a deferred adjudication probation. When you have a CDL and trucking violations, you need an attorney with experience in the court room, as well as one that understands what you are facing if convicted. In some courts we may be able to negotiate a deal that keeps a traffic ticket off of your record, but in others we cannot. If any lawyer promises you otherwise, they are misleading you. Every court in Dallas County is different. If you need a trial lawyer contact me. Jack Byno & Associates represents clients with all Class C Misdemeanors in the municipal courts of Dallas County. The cases we defend include, but are not limited to speeding citations, CDL violations, lifting traffic warrants, and driver's license suspension hearings. Since 1994 we have made our mark in the Dallas traffic courts. Contact me today to hire a Dallas traffic ticket attorney.